Providing scholarships to fuel dreams and future leaders. The D. Gary Young Leadership Endowment is a fund established in April 2019 to offer scholarships to Young Living Academy high school graduates who are enrolling in and attending a college or trade school. This fund will support Academy graduates as they take on the next chapter in their lives in pursuit of the careers of their dreams. When you donate to the Leadership Endowment fund, you are contributing a gift that keeps on giving! 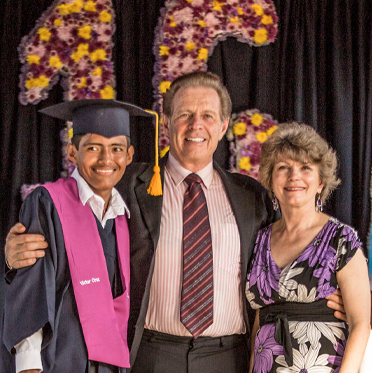 Your donation allows us to advance Young Living Founders Gary and Mary Young’s vision for empowering the future leaders of Ecuador by supporting future graduates, so they can take the next step in pursuit of a higher education. Gary and Mary Young established the Young Living Academy in a community in need of opportunity. 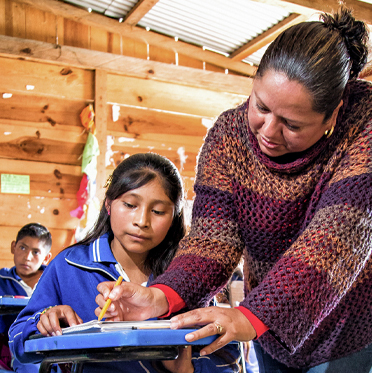 In Chongón, Ecuador fewer than 20 percent of children graduate from high school. 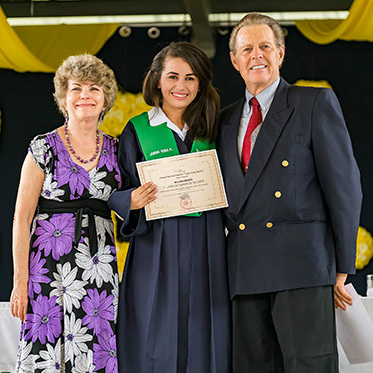 Understanding that education is the key to long-term change and with a mission to create the future leaders of Ecuador, Gary and Mary built the Academy in 2009, which today offers 350 students a quality education and boasts a 100 percent graduation rate. 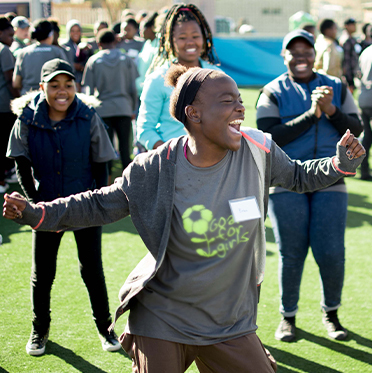 This endowment supports our core mission to empower individuals to live a life of meaning by helping them become confident, self-reliant leaders who can take control of their own lives and positively change their community. The students that graduate from the Young Living Academy have ambitious goals of pursuing careers in medicine, business, law, engineering, marketing, agriculture, and so much more. To reach these dreams, students look forward to attending a college or vocational school. The D. Gary Young Leadership Endowment is established for the sole purpose of supporting Young Living Academy graduates by offering them the opportunity to apply for a scholarship to help cover up to 85 percent of the costs of higher education. After celebrating the Academy’s first graduating class in 2016, it became apparent that while many of our graduates were academically equipped for college, the socio-economic status of their families made it hard to come up with enough funds for their continued education. For some students, the costs of college forced them to set aside their studies to return home, find a job, and help support their families’ day-to-day needs. We’ve heard stories in which a $100-a-month college tuition payment often meant other necessities at home were sacrificed. For other students, even though they received a partial scholarship from a university, they still could not afford the remaining amount. 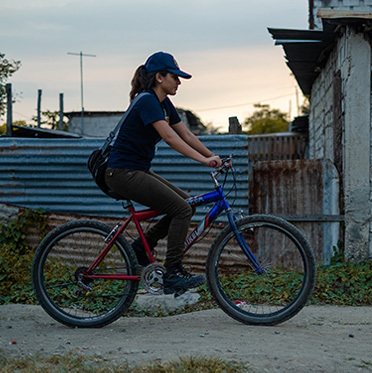 To see them work so hard to become the first in their family to graduate from high school and have their dreams cut short due to lack of funds meant we could do more to ensure the vision of them becoming Ecuador’s future leaders. The endowment fund will provide a hand up to Young Living Academy graduates who want nothing more than to pursue their dreams for the sake of their families! A higher education degree in Ecuador opens doors for opportunity so these students may become leaders of their family, community, and nation. With a college degree or vocational certification, graduates can enter into the skilled labor workforce. Skilled labor generates a higher income for them to more readily meet the everyday needs of their family and in time, fuel the dreams of their own children. Students may apply for scholarship support if they are accepted or enrolled in a college or trade school. The D. Gary Young Leadership Endowment will cover up to 85 percent of the costs associated with higher education including tuition, and in some cases, this may include books and transportation. Award amount will be determined by several factors including their GPA, school leadership, extracurricular activities, community service, financial situation, and if they have been accepted into a private or public university. The D. Gary Young Leadership Endowment is in the broadest sense, an investment for the future that demonstrates the long-term commitment we are making to support the dreams of Young Living Academy students, even after graduation. To kickstart the endowment, and to ensure our 2020 graduates can apply for a scholarship before the endowment becomes fully vested, 90 percent of your donation to this scholarship fund will go into the endowment and 10 percent will go to support the 2020 graduates. That still means 100 percent of your donation will be used to provide scholarships to our graduates. An endowment fund is designed to provide a permanent source of income by keeping the original amount invested in the account and using the accrued income to provide Academy graduates with scholarships. Plus, the endowment will be invested in companies and organizations who are socially responsible and share the values of Young Living and the Young Living Foundation. Transform Academy students’ dreams into realities by helping us secure the first $1 million of the D. Gary Young Leadership Endowment today!